Weaver is master builder of nature. There are three types of weaverbird generally seen in Gujarat. Baya Weaver is most common among them. During nesting season, we can catch them at many places. While coming back to Patan from Ahmedabad on our favorite road we saw them. The way it manages itself on two twigs - just recall the stunt of Ajay Devagan from ‘Phool aur Kante’. 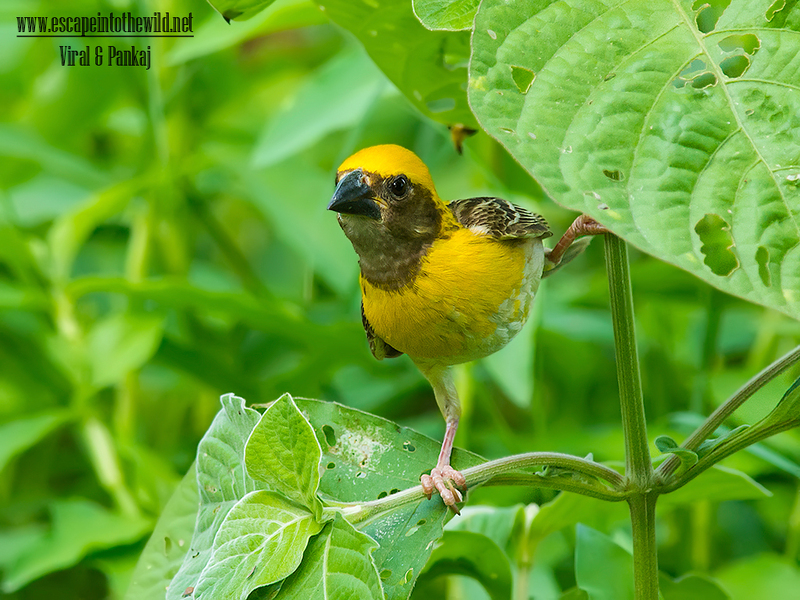 The baya weaver (Ploceus philippinus) is a weaverbird found across the Indian Subcontinent and Southeast Asia. Flocks of these birds are found in grasslands, cultivated areas, scrub and secondary growth and they are best known for their hanging retort shaped nests woven from leaves. These nest colonies are usually found on thorny trees or palm fronds and the nests are often built near water or hanging over water where predators cannot reach easily. They are widespread and common within their range but are prone to local, seasonal movements mainly in response to rain and food availability. Males build many partial nests and begin courting females. The male finishes the nest only after finding a mate. Prior to breeding, they go through a prenuptial moult. Adults also go through a second moult after breeding and thus there are two moults each year.